It's time for the monthly HC alumni blog hop and I today I have played around with water colors a bit. Remember to leave a comment on as many of our blogs as you can to be in the running to win a $25 gift certificate from Heartfelt Creations. You have until midnight 30th January 2015 to comment and the winner will be announced on 31st January 2015. Onto my card, I love the vintage images from the Sweet Lullaby Collection and so I played around a bit with water colors :) The image and sentiment is from Sweet Dreams Cling Stamp Set and then I added those amazing corners from the Cut Mat Create 2B Die as accents. Have fun hopping and don't forget to leave your comments for a chance to win ! Your card is sweet. The delicate colors are so pretty. And I love the bold intricate die cut corner pieces. This is so beautiful! I love your coloring and those die cuts are definitely on my wish list! 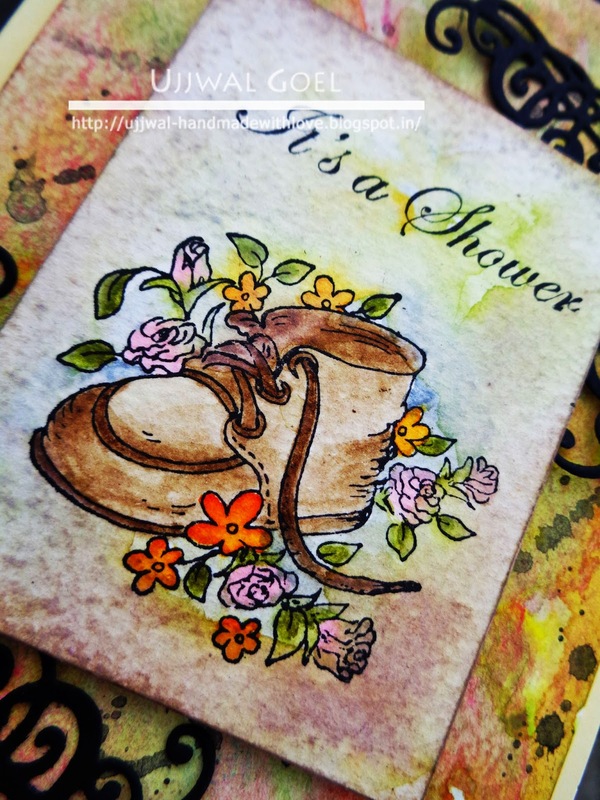 Love the watercoloring and the adorable baby boot. THAT is my next stamp set!!! So adorable - fabulous coloring!! Sweet Card!!! I love the watercoloured look! Beautiful. Beautiful card!! I really like the watercolor look you did for the image! Beautiful card!...Your colors are stunning and I love that image. And those corners...WOW! Love the Baby Card. I will be using this stamp soon as I will be a Mema again in June. :) Thanks for the inspiration. I love the background you created, but I especially love your coloring job on the stamp! Beautiful! Beautiful coloring, cute stamp, great job! The die cuts really add a lot to the card! Nice job!! Very cute! I am just starting with the watercolors so it is a great inspiration for me! Thanks! This is a really cute baby shower card. Nice use of the watercolors and decorative corners. Very nice watercolor look and the baby shoe and flowers look great! Gorgeous! I love the colors!! 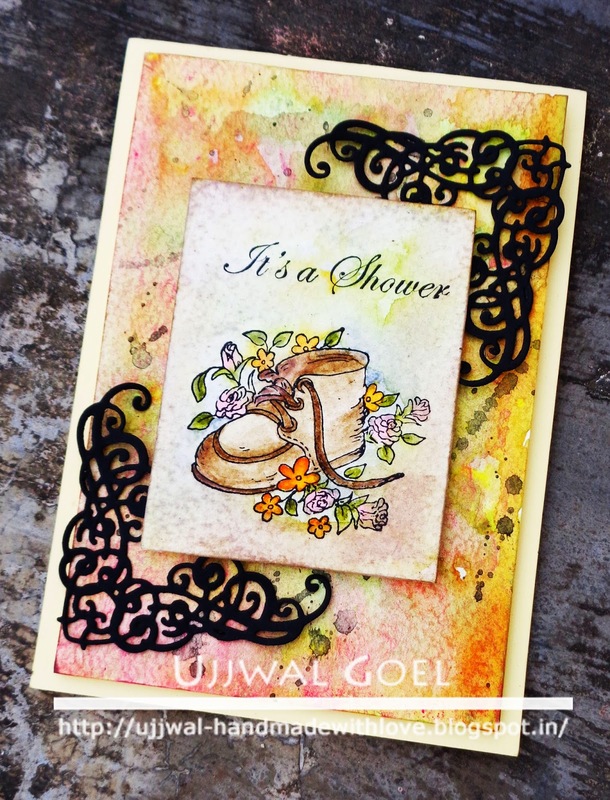 Lovely image so wonderfully colored and a terrific card! Such a beautifully crafted card, a hand made card like such and a well planned birthday party will surely make anyones birthday a special and memorable one!! Like the background coloring thanks for sharing.